I remember the day quite vividly, ten years later. I had annoyed my mom all day about picking me up right when school ended, for we had to make our way to the local record store immediately; I had very important things to attend to. I was 14 years old, and I was about to experience a form of art that would forever change the way I viewed music, writing, life and myself. I entered the store with high purpose, immediately making my way to the “C” section of the CDs, and there it was: A midnight black cover only illuminated by the blood red “IV” staring back at me, inviting me in, daring me to experience. What a world I was about to enter. 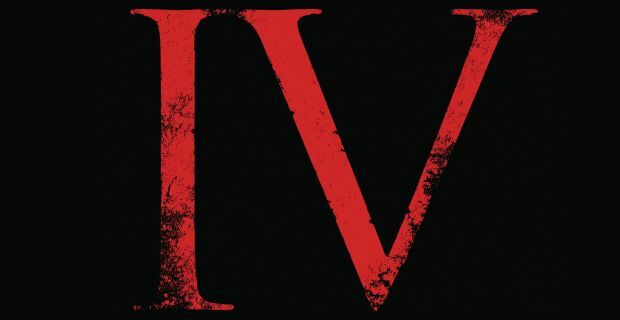 Good Apollo, I’m Burning Star IV, Volume One: From Fear Through The Eyes Of Madness by Coheed and Cambria was the first album I remember setting out to get specifically from a record store. Certainly not the first one I bought, but it was an experience that was entirely spaced just for Coheed and Cambria, and it felt like one of the first few independent moments of my life. This choice, this burning to get this art was of my own feeling. From first hearing “Delirium Trigger” on an Equal Vision sampler, to watching the comical “A Favor House Atlantic” video on MTV, the act of buying Good Apollo Volume One with my own money (something big for a 14-year-old, believe it) I had begun to shape my individuality, paved by the creativity and sonic illumination I would experience through From Fear Through The Eyes Of Madness. More structurally complex and daring than their albums before, it was as if I was growing with Coheed. From first learning what octaves and palm mutes were from Second Stage Turbine Blade at 11, to getting that darn pinky to hit guitarists Claudio Sanchez and Travis Stever’s gnarly guitar fills on In Keeping Secrets Of Silent Earth: 3 at 12, From Fear Through The Eyes Of Madness would grow with me as I was venturing into adolescence. Aside from my personal and intimate belongings to the work, the musicianship on Good Apollo, Volume One continues to resonate strongly a decade later. Be it the impeccable songwriting throughout the massive 15-track album, or the insane grooves between drummer Josh Eppard and Mike Todd, From Fear Through The Eyes Of Madness remains to sit high as one of the most carefully constructed, and musically intricate albums I have had the pleasure of experiencing. To range from epics like “Welcome Home” and the entirety of “The Willing Well,” (which remain to be my favorite group of songs Coheed has ever done) to more mellowed pieces like “Always and Never,” “Wake Up” and “Mother May I,” to pop hits like “Crossing The Frame,” “The Suffering,” “Once Upon Your Dead Body” and “Ten Speed,” the album showcases its versatility as we traverse through the intricate and harrowing narrative Sanchez has created. With personal life bleeding through his pen more staggeringly this time around, Good Apollo was fueled by the anger Sanchez kept when writing the piece. By the dissolution of a relationship the characters we have come to love from the past two albums are faced with existential crises, as we peer through a different lens into the maker of the world, creating a whole other layer of intelligence to the already stacked album. It was with Good Apollo, Volume One that I found myself learning a lot about music itself. There was a moment during “The Willing Well III: Apollo II: The Telling Truth” (to this day my favorite Coheed and Cambria song) where the band brings back a riff from “Blood Red Summer” and Claudio sings the famed events from “Everything Evil” over it: “Jesse, bad boy / Just come look at what your brother did / To that girl’s precious little whore of a body.” “Wait, you can do that?” I asked myself, completely stunned by such an epic reprisal. And while seemingly minuscule in the scale of things one can do, it was this moment–and other small ones thrown throughout Good Apollo–that made me feel safe about art that I wanted to create; that I could do whatever I want, for I felt the personal attachment to these songs the band members had. I felt the care, the emotion, the anger, the love, everything. To be honest, and a little cliche, I feel as if I owe much of my own personal investigation and journey to Coheed and the times of Good Apollo, I’m Burning Star IV, Volume One: From Fear Through The Eyes Of Madness, for it helped shape me as a person, in one of the most defining times of my life. Here’s to hoping we see a Neverender tour like we did for In Keeping Secrets Of Silent Earth: 3 and to hoping there is (finally) a vinyl release for Good Apollo, Volume One. I’d pay an inappropriate amount for it. Thank you, Coheed. I love you. ‘Good Apollo, I’m Burning Star IV, Volume One: From Fear Through The Eyes Of Madness’ turned 10 years old on Sunday, September 20.